That's what it has sadly come to here. Talking to oneself. Or the spambots. Well that sounds depressing. I haven't been on here in forever and randomly decided to log on today. I recently got my husband into Lost and he loved it. But we haven't been able to find any shows that are as good as it, I doubt that we will. I still check in every day, even though most folks don't post here anymore. Personally, I hope this forum and website never go away, but I know it will at some point. Then all that history, all those great discussions and debates, goes the way of the dinosaur. You're talking about the invisibul one? Hey, don't be so sad! As the Chicago Cubs have shown us, it ain't over until we say never again! "One day it's fate, the next day it's free will." Marking my calendar. Red letter day! See you May 23, 2019. 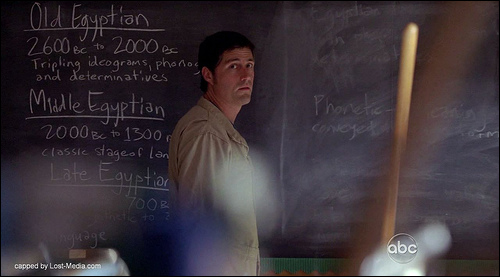 May 23, 2019 will be the 9th anniversary of the airdate (in the US) of the last episode of LOST, "The End." If you can, sign in that date to commemorate the series. Wow! I can't believe the overwhelming response to this!! !